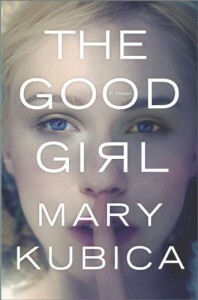 This is a decent book for a debut, but don't expect to be gripping the edge of your seat in suspense. There were some comparisons to Gone Girl (is every female suspense novel to be compared to Gone Girl forever??) but the delicious evil and malevolence were absent in this book. I did like how different characters told the story from their point of view and the switch between time periods helped make this novel feel fresh and enjoyable. 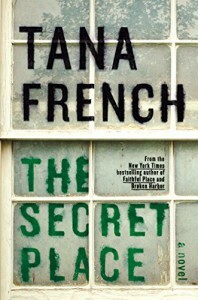 This is the first Tana French novel I've read, it certainly won't be the last, and I can't conceive how she's stayed off my radar for so long. I loved every bit of this book and although it was number 5 in the Dublin Murder series, I didn't feel lost for not having read the preceding books. 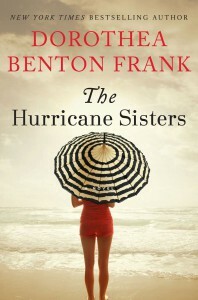 French got every aspect of the meanness and snark of girls exactly right and I was hooked to the mystery from page one. Loved it! Now maybe I'll go back and read 1-4 and every other book she's written!! The only small complaint I had was that some of the Irish slang was a bit unfamiliar and I had to guess at the meaning. Tell me about the scariest book you've ever read! I want to compile a list of scary/creepy books. You don't have to give a whole synopsis, just give me the gist. Please!!! Thanks!! There is no adequate way to describe this book and no genre it will neatly fit in. It tiptoes seamlessly through many categories and it blew my mind. 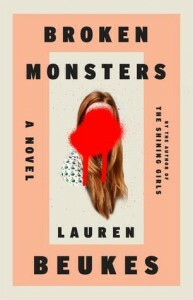 I greatly enjoyed her last book, The Shining Girls, and when I saw she had another coming out I was excited. I was the first to get the book from my town's library so I assume not many people are familiar with her work. It took me awhile to read it but not because it didn't engross me. I have moving and wedding planning on my plate right now and had to squeeze reading in. Anyway, the few main characters are so fleshed out and real that you could almost touch them. The fantasy aspects were so cool, kinda like you dropped acid and this book was your hallucinogenic projection. I loved this book and can't wait to see what Ms. Beukes dreams next. I know this is not an actual review but trust me and just look up the book. It'll be worth a few clicks on your search engine, I promise. Will I be a Gone Girl at the theater?? Yes, I know I'm corny and cheesy. I don't care. I love the twisted mind of Gillian Flynn, even when the first part of Gone Girl was mind numbing and dragged on. And on. And on. Once I got to the juicy part, I was soooooooo glad I stuck it out. I've heard others say they didn't finish it and I implore them to just get through to the part that makes it all worth it! Anyway, I digress. I'm rather excited for the Gone Girl movie. I just hope they don't eff it up. I love this series and this book just confirms why. The mystery component never disappoints and the future time period is fun. The best part of the series to me is the romance between Dallas and Roarke. 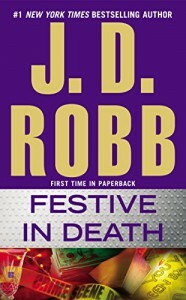 I've been enjoying the In Death books for over a decade and will continue as long as Nora Roberts writes them. What a huge let down. 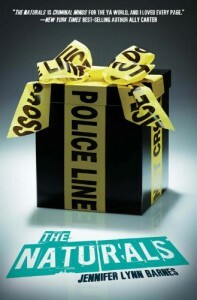 I was so psyched to read this book about a soccer mom dealing with prescription drug addiction. As I have close personal experience on the subject and also having read Jennifer Weiner's other books, my hopes were high. Unfortunately, this read like a pamphlet for opiate addiction with a dash of human action. The main character, Allison, was not someone I like or rooted for. The kid, Eloise, was so annoying I was gritting my teeth. The kid had a few redeeming moments but all said and done, those were the only heartfelt moments in the book. *sigh*. Definitely not my favorite by her. It did include some beautiful details about the setting, which is something I admire in all her books, since I'm from the South and she gets the smallest details just right. In this one, I didn't grow attached to any of the characters and the ending left a sour taste in my mouth. I sure hope the next book redeems her! 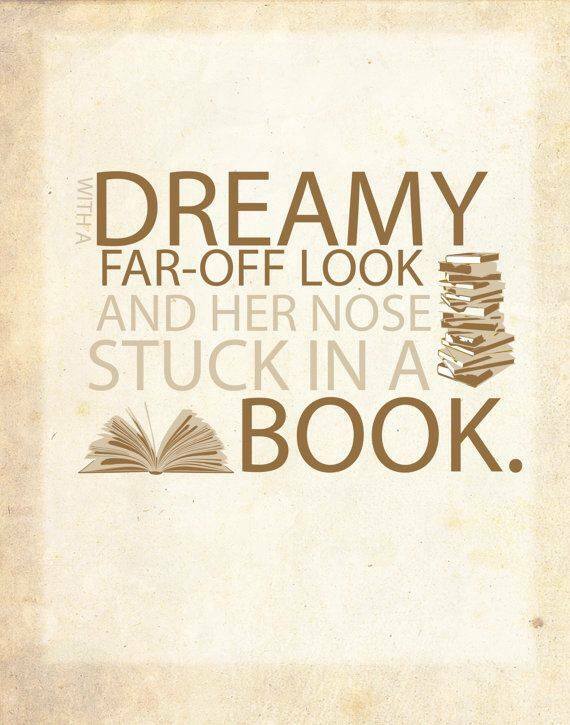 I adore this book! I'm becoming really attached to Strike and his assistant and really enjoyed their hijinks in this book. The crime itself kept me guessing the whole time, there were lots of red herrings that made me second guess myself the whole time. I'm totally ready to read another Cormoran Strike book and embark on another twisted mystery! 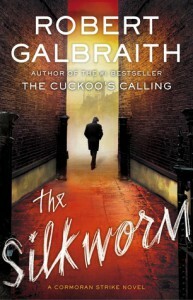 I'm almost done with The Silkworm, can't wait to unmask the killer, slightly Scooby Doo-ish but immensely entertaining. It's actually my next three books that have me chomping at the bit. 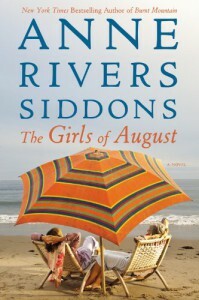 First is The Girls of August by Anne Rivers Siddons, I adore her beachy books. 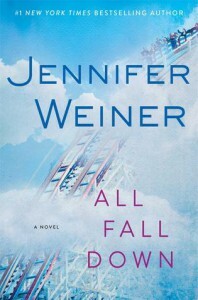 Next is All Fall Down by Jennifer Weiner, master of chick lit but still quite thought provoking and darkly humorous. 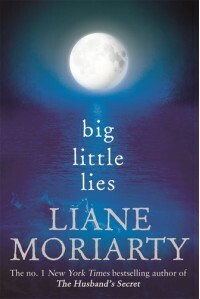 Third and final will be Big Little Lies by Liane Morisarty. 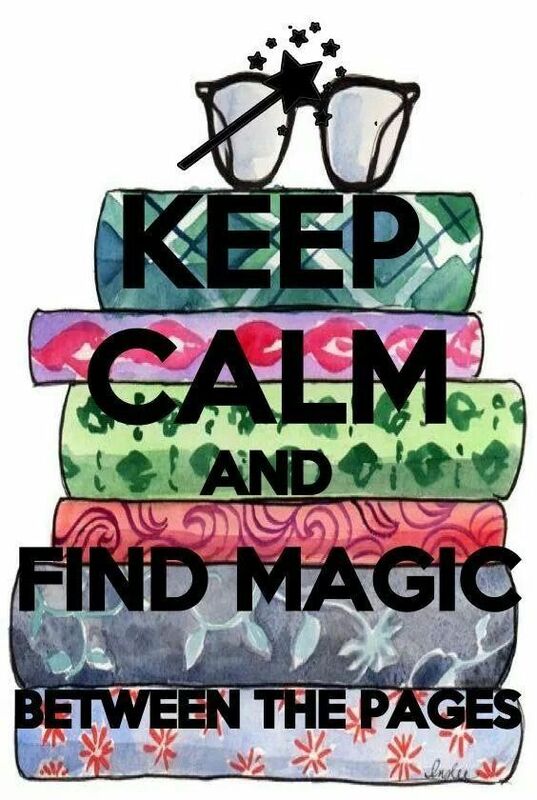 This came highly recommended by my bookworm friends. I'll keep y'all posted on the progress, whether you like it or not...... Ha ha! I know, I know. I left out part of the title but you get the gist. 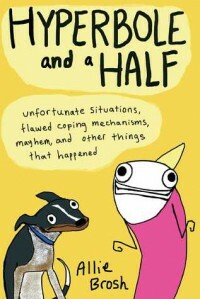 The book is incredibly funny and has just enough self-deprecating humor that women can relate to. This is not a book you want to read in a waiting room or restaurant. Actually you don't want to read it anywhere in public unless you want people to stare at you while you laugh uncontrollably and a real life spit take. 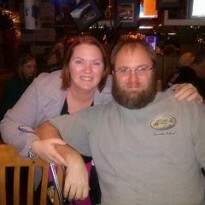 I had never seen her blog but I will for sure visit it regularly now. The book requires a suspension of disbelief because the main characters are agents of a super secret sect of the FBI and they're teenagers. Anyway, I don't mind a plot that is beyond belief and I've always been interested in profiling and other aspects of Behavioral Science. There's a kind of behind the scenes action concerning profiling and other tools for catching killers. It's pretty cool.